Truck driving is not a job for the faint hearted, but it’s fair to say that most who enter profession, whether they’ll admit it or not, actually do really enjoy it – or at least the vast majority of it. We often hear of drivers having ‘diesel in their veins’ and many drivers find it hard to come off the road, be it to move into the office, change careers or retire. I’ve often said trucking is an extended family. As I write in T&D this month, drivers may not know each other by name, and they may have never met each other before, but they’ll invariably help their fellow drivers when they are in trouble. Drivers pass on advice when asked, and indeed when not asked. They will share tables at truckstops and talk about their jobs, their industry, their trucks. And when these conversations morph into friendships, they will talk with each other about issues beyond the industry. So to honour our hardworking truckers, on July 22/23 Truck & Driver is staging its first Convoy in the Park, which we hope will be the ‘ultimate celebration of the truck and truckers’. The event will combine all the very best elements of a European-style truck show. There will be the excitement of truck racing, a full trade exhibition supported by major truck makers and 2,000 trucks – of all makes, sizes, ages and types on show. We think it’s got something for everyone involved in the industry – and we mean everyone, be you a driver, an operator, an enthusiast or just someone with an interest in trucks and trucking. If you like trucks, or work with them, then there should be something for you and your family. Most of the major manufacturers will be at CitP showing off their wares, plus dealers of second hand trucks. You can certainly run the rule over a new truck with no pressure from salesmen! But above all, this is a celebration of the trucking culture – the vehicles and the drivers. It’s what our T&D is about, trucks and drivers. This is also a family event, and there are plenty of things for kids for do. 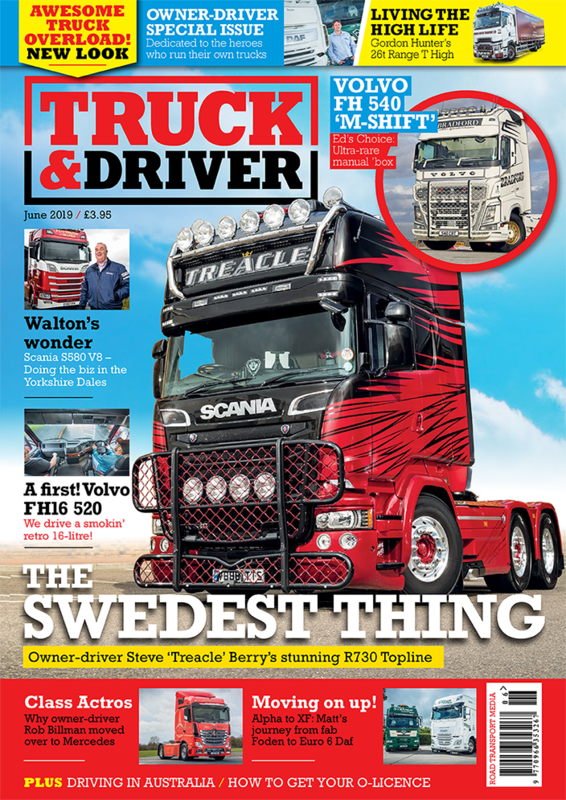 There are full details in the issue of T&D now on sale, and a series of Convoy features are planned in the issues between now and July, along with any details you need to know. You can also follow the event on twitter at @ConvoyTruckShow and there will be regular updates on Truck & Driver’s Facebook page. So, block off July 22/23 in your diary, and we hope to see you there!